Easy Cargo is a Bradford-based cargo company delivering to all corners of the globe. They work with major delivery, shipping, and freight companies to get customers products all over the world at an attractive price and in the shortest possible time. They approached us to build a website that would be integral to their growth. The founder of Easy Cargo approached us with impressive expansion and investment plans and needed a website that would be the main source of online growth for the company. 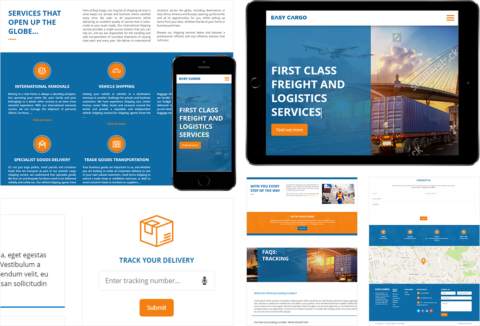 We needed to provide branding and a website solution that would showcase the services on offer whilst also building a customer portal for both freight companies and direct clients. We first set about creating concepts for the Easy Cargo branding and came up with a solution that really stood out. After this, we created wire frames for the websites customer journey and, after approval, designed a range of eye-catching web visuals that perfectly encapsulates the Easy Cargo brand and makes it appealing to clients both old and new. Although the branding and website design was very important, we needed to ensure that the customer portal was fit for purpose. We designed a solution where both customers and freight managers could log-in and see deliveries and schedules, which freed up time for the Easy Cargo team to ensure that customers were happy and deliveries were received promptly. Although a very complex WordPress design and development project, we built something that has already helped Easy Cargo attract new customers and make running the company easier for all members of the team. I found Harrison Mann after doing some research online, they really understood how online marketing worked and from start to finish were there to help with any questions I had. 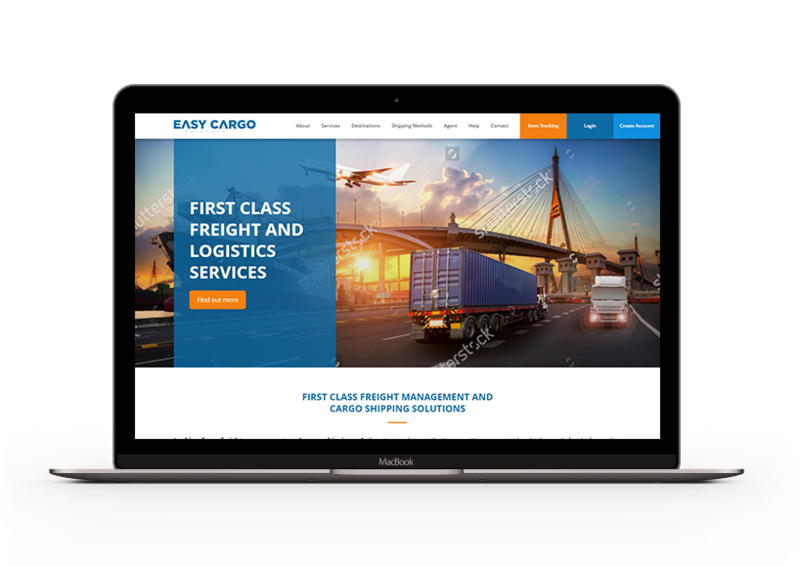 The Easy Cargo branding, new website (which was very complex in nature) has really helped position our company as an established cargo company with clients.